Paul Peterson is a Fellow in both the American College of Trial Lawyers and the International Academy of Trial Lawyers. He has also been certified as a Civil Trial Advocate by the National Board of Trial Advocacy. 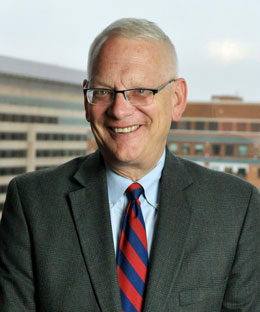 He has extensive jury trial experience as well as dispute resolution background with a variety of arbitration forums and administrative agencies. Paul’s practice includes a broad range of complex civil litigation with an emphasis on the defense of professional liability claims. He is admitted to practice before the state and federal courts of Minnesota, the Eighth Circuit Court of Appeals, and the United States Supreme Court.